Popeyes $5 Boneless Wing Bash with %@$# SPICY SAUCE! Popeyes Louisiana Kitchen is now serving its NEW $5 Boneless Wing Bash! Each box comes with 6-9 boneless fried "chicken wings", a regular side, buttery biscuit and Popeyes new %@$# Spicy Sauce (drink not included). 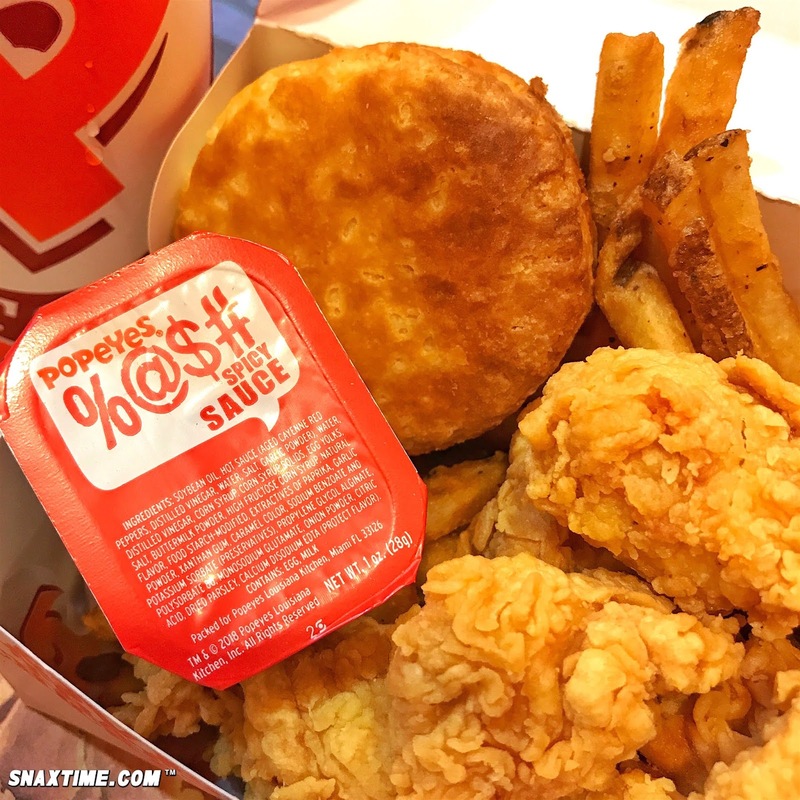 We tried our $5 Boneless Wing Bash with Popeyes peppery fries. The chicken itself is super crunchy and savory on the outside and juicy and flavorful on the inside. The colorful %@$# Spicy Sauce packs a nice zesty punch by fast food standards and tastes a lot like regular hot wings sauce. We really enjoyed this new promotional item and found the price to be a good deal considering the amount of food you get for just $5. This new menu item is available for a limited time only.